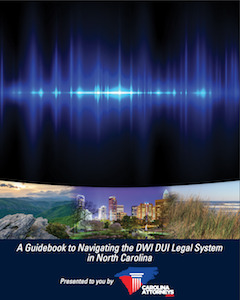 Alcohol Offenses Underage Possession or Consumption of Alcohol While Under 21 are common charges in the Charlotte-Metro region. Anytime someone under 21 has consumed or is possessing alcohol, that is technically a crime. How the officers came to find you in possession of alcohol? How they came to find out you were under 21? How did law enforcement determine consumption of alcohol? Were there preliminary breath tests? Was there a “breathalyzer” or EC/IR II test? There are lots of issues in each case and it's important to contact us as soon as possible so we can discuss the issues relating to your defense. 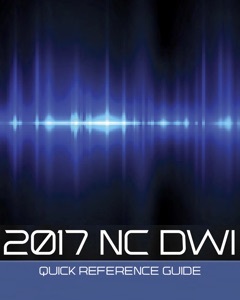 In North Carolina, alcohol-related laws are enforced by a special group within the Department of Crime Control and Public Safety – the Alcohol Law Enforcement (ALE) agents, as well as other police officers, State Troopers, County Law Enforcement such as Sheriff's Deputies and ABC Alcohol Beverage Control representatives. ALE and ABC tend to focus on or investigate and charge people with crimes relating to the sale and purchase, consumption and possession, manufacture and transportation of alcoholic beverages. Our criminal defense team is led by firm partner, defense lawyer Bill Powers, a board-certified criminal law specialist who has been listed in North Carolina Super Lawyers magazine (2015) in criminal law, and has been listed in Business North Carolina magazine – Legal Elite (2015). It's normal to be concerned, understanding criminal cases can carry long-term consequences. How will a criminal charge affect your ability to go to college or get a job? Could you face fines or even jail time? The key to good decision making is good information. That includes preparation, experience and review of the factual basis for any criminal charge. 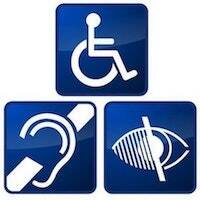 Yes, it may be serious; but can be options available. Call Powers Law Firm, pllc now for a confidential consultation, free of charge for matters involving Criminal Defense, Traffic & DWI DUI Impaired Driving Offense. Experience in North Carolina criminal courts and thorough preparation are great places to start. It is illegal to sell or purchase alcohol for a person under the age of 21 (even if you are under 21). It is illegal for anyone under the age of 21 to possess or purchase alcohol (malt beverages, unfortified or fortified wine, spirituous liquor, or mixed beverages). It is illegal for someone to use a false ID in order to obtain (or attempt to obtain) alcohol. These North Carolina alcohol laws create problems for hundreds of young people every year; and sometimes for parents, bartenders, salespeople and others. If your young person has been arrested as a minor in possession of alcohol, we can help. If you or your business has run afoul of North Carolina underage alcohol laws, legal help is available. 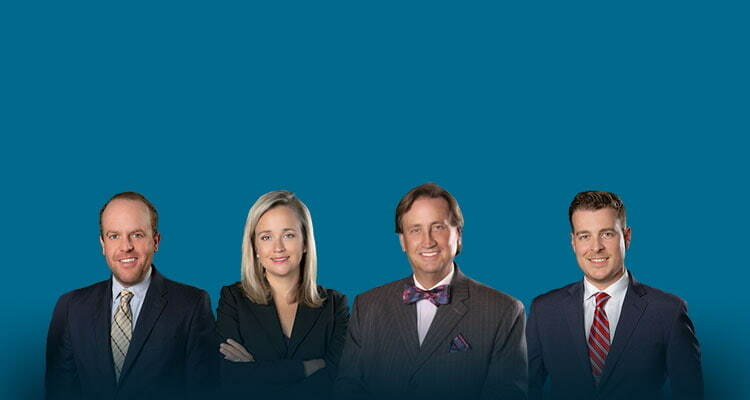 Protect your rights and your business by talking with a lawyer at the North Carolina law offices of Powers Law Firm. Call (704) 342-4357. Speak with an attorney who understands your legal problem and can help you find a resolution. If you're watching this video, chances are you're probably a parent or someone that cares about someone else who has had some alcohol and they're underage. Everywhere in the country, the drinking age is 21. While when we were growing up it may have been 18 … Heck, when I was coming up, our first driver's licenses weren't even plastic. They were a piece of paper. Didn't have a picture on them. It's gotten more serious now, and probably for a good reason. I think we finally recognize that drinking at a younger age tends to end up with more problems in the future. One, it's illegal just because it's illegal. But, two, it's illegal because on a developing mind we've determined it's not a good idea to make it more difficult by adding alcohol. We see these cases, I don't know if it's every day, but a whole lot of them. There are trends in the law in courts. We see oscillations, up and down periods. Underage possession of alcohol cases, we see a lot trending in the fall where people are going off to school or going off to colleges. We also see them in the spring, when younger adults in high school are starting to attend prom and going to different parties, maybe they're getting ready to graduate. We see a lot of them in the summertime, which coincides with concert season. If you're going to one of the concert venues in town, maybe you're out there with a bunch of people, and everyone's got a beer, and I'm just sitting here holding a beer because it's the cool thing to do, or whatever the social pressure's been put there. We see underage possession or illegal possession of alcohol cases across the board. Sometimes people just don't take them seriously. They go to court, they plead guilty, and they don't realize there were options, or they listen to the story, some anecdotal story, that, “I know so-and-so, and he just went to court, and the DA said, ‘Well, you're a nice guy. I'm going to dismiss the case. '” I don't doubt that that does occasionally happen. I don't think that's a realistic perspective of the courts. Underage possession is not perspective of the courts. This, underage possession is not the type of offense where you're gonna be crackin' rocks in a chain gang at the Department of Corrections. It is a type of offense that's kind of embarrassing when you're my age, you're in your fifties, and you're trying to explain, you know, your mistakes or misjudgments in the past. We also see underage possession of alcohol cases tied with, and this is a common trend in all criminal law to be honest with you, with other types of offenses. Underage possession and possession of marijuana. Underage possession, possession of marijuana, and possession of drug paraphernalia if you've got the marijuana you've got to have something to smoke the marijuana in. Underage possession and possession of a fraudulent or fake ID. Underage possession and use of a fraudulent or fake ID. Underage possession and driving a motor vehicle which enhances that because now you're looking at, you know, what we call a provisional DWI. You know, you can't have any amount of alcohol if you're under 21 and drive a car. While it's technically different than driving while impaired, it's treated very, very similar in a court system. And so, it's very rare do I see just solely underage possession. Maybe the concert venues where they just write everyone a ticket and whatever. Before you do anything, call us. If we think this is something you can handle yourself, if we think you can go to class, depending on the jurisdiction. Some jurisdictions have them some jurisdictions don't. We'll tell you. If we think we can show some way to help you out and explain why you want a lawyer, we'll tell you that as well. Our consultations are free, we don't charge you anything to talk to us. We're confidential so if you're the under 21 person, we're not gonna call up your parents and say, “Guess what Junior did?” All right? We keep things private. That's the whole point of having a lawyer. Is that the courts and our system of justice wants you to get good legal advice, it's one of your primary rights as a citizen. Therefore, they want you to be honest with your lawyers and the way that it's encouraged is that you're assured that what you tell me, what you tell us as lawyers, doesn't leave the room.